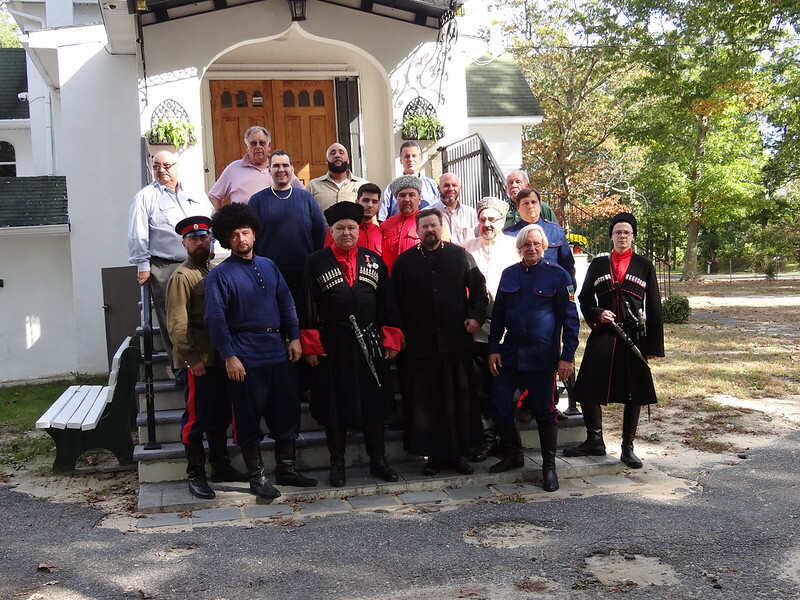 On October 21st, 2017 the 8th annual Cossack Congress in America concluded in the All Cossack Stanitsa of Vineland, New Jersey. The Congress began with the welcoming of delegates from member organizations in the church hall of the Holy Virgin Protection Skete. The Congress had reviewed and approved the work completed by the current leadership of the Congress. The congress decided to continue it's work to improve the education of Cossacks and to preserve Cossack culture, history and tradition in the Americas. Additionally, in Spring 2018 the Congress will host an All Cossack picnic at a date which will be announced in the near future. The Congress has reelected Iegor Brun de Saint Hippolyte as the Ataman of the Cossack Congress in America, Ruslan Dimitrov as the Vice Atman of the Cossack Congress in America for the territory of Canada, and Alexey Bocharnikov as the Vice Ataman of the Cossack Congress in America for the territory of the United States in America for the 2017-2018 term. This is the 5th consecutive time that the leadership has been reelected and may god grant them many years in the challenges they continue to face each year. The Cossack Congress in America concluded at approximately 2:00PM and the delegates celebrated another successful Congress with a meal, during which the Cossacks sang traditional songs. The leadership of the Congress expressed their gratitude to the Ataman of the All Cossack Stanitsa of Vineland for hosting the Congress this year, as well as to Timothy Kaganzev, Sergei Kaganzev, Michael Dadydow, Yuri Guziy, and Alex Kaganzev for preparing the lunch meal and putting extra effort in the planning to make this Congress possible.